Science is not meant to cure us of mystery, but to reinvent and reinvigorate it. 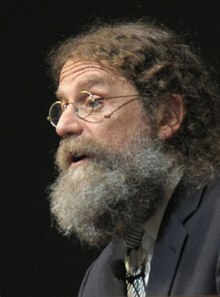 Robert Sapolsky (born April 6, 1957) is a biologist and author. He is a professor at Stanford University. We are not getting our ulcers being chased by Saber-tooth tigers, we're inventing our social stressors — and if some baboons are good at dealing with this, we should be able to as well. Insofar as we're smart enough to have invented this stuff and stupid enough to fall for it, we have the potential to be wise enough to keep the stuff in perspective. This is not somebody hearing voices all the time, this is somebody hearing voices only at the right point. There is no reason to be less moved by nature around us simply because it's revealed to have more layers of complexity than we first observed. We're only a couple of hundreds of years into understanding that epilepsy is a neurological disease and not a demonic possession. We're only about 50 years into understanding that certain types of learning disabilities are micro malformations in the cortex in people with dyslexia and not laziness or lack of motivation. The vast majority of these factoids [presented in the book] are 10, 20 years old, and all that's gonna happen is we're gonna learn more and more of that stuff. And what we're going to learn more and more is to recognise extents to which we're biological organisms and our behaviours have to be evaluated in that realm. For my money, what that eventually does is make words like "soul" or "evil" utterly absurd and medieval, but it also makes words like "punishment" or "justice" very questionable, as well. I think it will require an enormous reshaping of how we think we deal with the most damaging of human behaviours, because none of it can be thought of outside the context of biology. From the very moment of your life, culture is leaving an imprint on who you are.